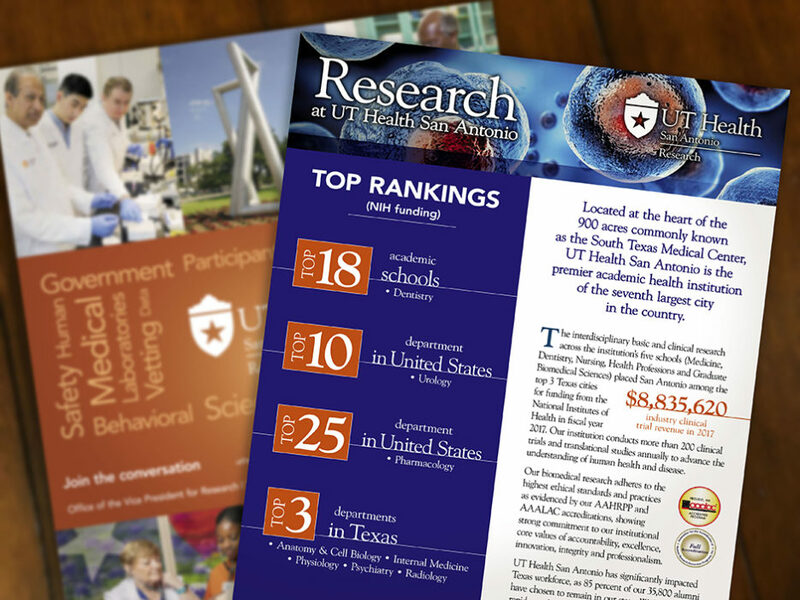 GOAL: Create a dynamic brochure highlighting the University of the Texas Health Science Center at San Antonio. 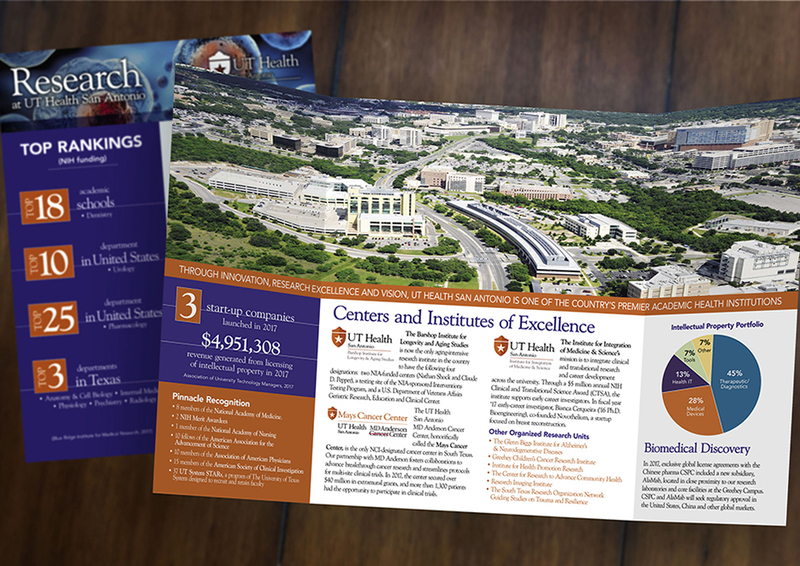 One of the main challenges for the project was to present in a concise yet informative format of how the UT Health San Antonio is the largest health sciences university in South Texas with wide ranging capabilities and influence. 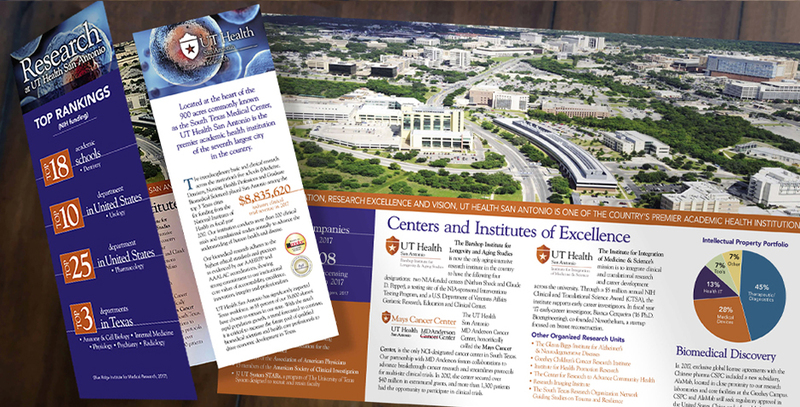 RESULT: A colorful gate fold brochure which opens up to a panoramic view of the UT Health San Antonio campus. Accented by bulleted facts and graphics throughout the presentation, the reader experiences maximum information in an easy-to-read format.